Earlier today Shigeru Miyamoto made a star appearance at Apple's major event, with able assistance from Bill Trinen, and revealed Super Mario Run. Coming to iOS in December - Apple gets the first bite (sorry) - it's a runner with the big pitch that you can play with just one hand. Be careful with those marketing slogans Nintendo, the internet is not to be messed with. In any case, you tap on the screen to make Mario jump, with timing everything across a core mode, a competitive mode where you try to impress Toads, and a creation tool of sorts accessed with in-game currency. The pleasing thing - depending on your perspective - is that aside from a free introductory download this will be a simple one-payment gig, avoiding the potential banana skin of iffy micro-transactions. In any case, Nintendo has released a short gameplay video online, perfect for those of us that were caught out by the Apple reveal. Let us know what you think. If you're an Apple user you can also register your interest in the December release on the official website. Not that I really want it, but if it's stuck on a phone with no headphone jack I certainly won't be getting it. I thought the animal crossing app was coming this fall and now I read it will be by march next year . It looks decently fun, it's obviously only meant to be a simple mobile game and little more. Too right I'm moaning , I've been looking forward to it since they announced it. Looks fun, as I've said before. I feel that it could look a tad better graphically but that's it. Doesn't look all that bad. I wouldn't mind trying it out. Could be fun. Love it. So simple, yet effective - and a great way to bring more and more casuals into the world of Super Mario. This is exactly what the red plumber needed to harness a larger audience. Registered my interest. Can't wait. I can tell it will be a hit. The Rayman game was similar and it was a great little mobile game. Not sure why everyone is so annoyed. What did you expect, a full proper Mario title? Don't be stupid. can't wait. of course it'll be fun and it'll make them a boatload of money, and who doesn't want that? fair play to them. Needs to be on Google Play Store for me. Most gamers don't touch Apple products. It's your casuals that have iPhones and iPads. 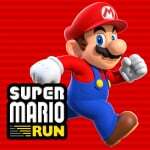 Looks pretty good for a runner game on mobile, I like how smoothly Mario moves in the game and how he still uses his moves. Personally, I hate mobile games, but I can see this being very popular. Looks good. Gameplay is like Rayman Jungle Run and Rayman Fiesta Run which are both very good mobile games. I bought them on sale long ago. I don't expect Nintendo to discount this one in the first year so day one purchase for me. Let's see what Super Mario twist they add on it. Looks very nice I'm not a mobile gamer but may keep an eye on it. Looks all right, but I hardly care about endless runners. Looks good as far as endless runners go. @Alshain01 The iPhone 7 includes an adapter that lets you use headphones via the charger port. That is not your usual autorunner. Looks great! @abbyhitter they announced first to iOS, it'll be on android after the exclusivity window ends. I remember taking the train to work one day and pulling out my 3DS to keep me entertained. A child, no more than 2 saw this, and started shouting Mario, Mario. No other other gaming company has this kind of cultural impact. Mario is the face of gaming, just because he is so recognisable. Nintendo would be idiots for not tapping in to this resource and only blinkered, idiotic fanboys would deny this. This is not the death of Nintendo, or a sign of them watering down their games. It's a very good business plan, which will make them a fortune and therefore enable them to continue to remain relevant, and may also increase interest and sales of NX. On a side note, I think it's a "timed exclusive" on iOS and will possibly hit Android in the next few months. It's not an endless runner though. Look up for Rayman Jungle/Fiesta Run gameplay. It's more like an "autorun" platformer. ThIs actually looks alright! How the Android version wait isn't too long. It not be free to play is encouraging. Looks good. I can see myself playing this when I can't play my 3ds standing on a crowd subway train underground. Yeah, this looks fine. Not for me, but it's just creative enough to draw in the same people who bought New Super Mario Bros. Wii. It's basically a simulator of how it feels to speedrun, with ridiculous back and also kick flips added. My gosh! The parallax scrolling is so simple that is lazily terrible! Genesis had better parallax scrolling than this game! Oh, right! Sega does what Nintendon't!! I jest! @IxnayontheCK Other companies put out good full-on platformers on mobile and people enjoy them. Nintendo prepares to launch watered down runner version of one of the most iconic platformer series. People who wish or thought that it would be a proper platformer... possibly with a twist/new mechanic told to not be stupid. Looks ok. It doesn't look quite the level of the Rayman mobile games but I'll give it a go and hopefully it'll surprise me. Reminds me of the Rayman games on smartphone. But less.... impressive. But this is Nintendo... so it kinda is impressive. You knew with all the auto-runners in Mario Maker this was going to happen. Looks good fun, it's always a great feeling in 2D Mario games to just jam the direction pad to the right and hit all the jumps perfectly to finish the level. I'm also perfectly fine with Nintendo getting paid millions of dollars to make this iOS exclusive for a few months. De-risks the project for Nintendo who are still very new in this market. A runner AND a city builder? It's not for 'gamers'. It's a simple game to extract money from casual players. Knew this was coming at some point. Looks about what I expected. I'm a gamer and it looks appealing to me. And judging by most of the gamers in this comment section I'd say that a fair few are interested in it. I love a good platformer. And 2D Mario is absolutely one of the funnest platformers out there. This is dang near like a real 2D Mario game. The only difference is they removed the weakest link of all phone games- the directional input. It's hard to control directional input on a touchscreen. So, auto scrolling games remove the need, and thus provide a way to play only using a tap to jump, just like a button press. They really did good with the mechanics it seems. I noticed a lot more maneuvers and flutters you can perform than in the main series games. If this is what Nintendo on mobile looks like, then I may start playing mobile games more. That's great that you like it, but superfans like yourself weren't the intended audience. It's designed to appeal to the general public and get them back as Nintendo consumers, much like Pokemon Go has. Well sure, I don't deny that. But that doesn't mean they're exclusively who the game is for. Even on consoles, Ninty tries to make their games appealing to as wide an audience as possible. The difficulty, aesthetics, etc are all balanced to entertain as many kinds of gamers of different ages and interests as possible. It looks pretty good, so I'll give it a try. Hope it works out for Nintendo and they manage to attract more people back to their IPs. Plus, about the "exclusive" part.... Look at it this way, the down pay they are getting from Apple may help them finance an NX launch event! If it's priced fairly cheaply, then I'll be sure to pick it up. Generally I won't pay a lot for a mobile game. It's better than free-to-play though, where I won't pay anything and just play the game until I get annoyed at the microtransactions paywalls. Ya no doubt. I won't do "free to play" and that was my biggest concern about their mobile games. It's still possible Fire Emblem and Animal Crossing will fall victim to it (please please please no) but at least we're guaranteed a Mario game we can straight up purchase. I smiled. I felt the challenge. This is a winner. @WilliamCalley Exactly. People who normally didn't even know what pokemon was got into it. @JarusPokemon Includes it, or buy it separately? Can it be on the charger while the headphones are plugged in? @tysonfury Why would I want wireless headphones. My 3DS can't use them, and that's just more crap I have to charge. @IxnayontheCK Why not (a full proper Mario game)? Oh year right, because the mobile games knows only cheap boring games that are no challenge. If Nintendo released a quality game for mobile devices, it would probably be a waste anyway since mobile players aren't able to recognize or even appreciate quality content. I didn't even expect Nintendo to make a Mario mobile game after they repeatedly said they wouldn't do it. Now I'm just surprised that Nintendo would produce such cheap low-quality crap. Oh wait, no I'm not surprised, because Iwata is dead and Kimichima apparently only cares about profit, not about quality (or innovation). @Alshain01 This is off-topic, but of course a 3DS can use wireless headphones, just buy a small BT audio adapter. @shani Or I could use the ones I have and not buy a piece of junk for a phone. @Alshain01 My bad, I didn't see @tysonfury's post at first, only yours above mine. But still, I couldn't play with wired headphones. Especially on the way, with a 3DS. How do you do it? Doesn't it annoy you that they constantly fly out of the headphone socket the moment you make any move? And/or that the cable gets wrapped around your body or stuck on the environment (e.g. bus/train interior) for no reason? I've been using BT stereo headsets for about ten years now, I couldn't go back. Every time I had to temporarily use my BT headphones with a cable (when the battery was empty, which doesn't happen anymore because I have three batteries) it was just so annoying and uncomfortable. It was the same thing in my early Splatoon days, when I connected my BT headphones via cable to the Gamepad. In almost every match the cable went out of the socket because of random movement, so I routed the Wii U's sound via component cable to my PC and from there via BT to my headphones. The only time I use my BT headphones with a cable now is when I'm making music with my keyboard (for the sake of precision). Also, I'm not talking about a piece of junk. I'm talking about quality hardware (like my Sennheiser MM400, although now they're an old model and pretty affordable in used condition - but about 8 years ago they cost 150€) that's pretty useful. I use it with my phone, my PC and any other device that has sound output. @shani I've never had an issue with my headphone jack on the 3DS, it's friction lock is strong enough to hold the weight of the 3DS unit itself (and it's an XL). Sounds like you got a bad one. The cable doesn't get tangled on me, but I don't spend a lot of time on trains or busses. I don't use them on the Wii U though, I have no need for that. My main use is as a computer programmer, I like to listen to music while I code. However most phones won't last the work day that way so they need to be on the charger, while I'm listening. There seems to be no way to do that on the iPhone 7 without having headphones that would also have to be charged periodically. Which means the phone simply doesn't fit my needs any longer. On top of that, I don't want to have to carry multiple sets of headphones to use with my 3DS. It's just more complicated. You would think apple could have made an adapter with both a headphone jack and a lighting charge port splitter, but they aren't as smart as they think they are. Mediocrity of the genre Nintendo's boldly riding into aside, kudos to them for sticking to an actual flat purchase model instead of some leech-choked microtransaction scheme. Eh, there's plenty of games featuring the same or similar game play, such as the Rayman running games. Think there was a Sonic one, too. Really nothing to see here, but of course Nintendo will still make a pretty buck on this since it's Mario. Yeah I get that about the charging problem. Luckily, my smartphone only needs a recharge every 2 or 3 days (more like the latter) and also luckily, BT doesn't drain that much power anymore (AFAIK WiFi, mobile networks and GPS need far more energy). Plus my BT headphones last pretty long. When they were new, they lasted for ~12 hours, which was enough for them to accompany me the whole time during a travel to the middle east. Half an hour on the bus, 2 hours on the train, 2 hours at the airport, 5 hours on the plane + some waiting time in between. I could actually put on the headphones when I left the house and they were still powered when I was picked up at the airport there. But that was quite a while ago, now I think it's more like +/- 8 hours, haven't measured it again. But since I have three of those batteries and they can be easily recharged via microUSB, it doesn't matter anyway. And just to conclude this: I guess everyone has different needs and usage scenarios, so it's great that all of us are happy with the solutions each one of us has found for himself. I don't have an iPhone, but I feel like this could do well financially, which could mean more money to invest in NX titles in the future. At least that's what I'm hoping. Regardless, I'd buy it if if came to Android. Nice. I'm bummed that it's just a "runner" though. Those levels looks like they're just itching to be explored. Definitely worth considering in those instances where I don't have my 3DS with me. Although I will never buy it, at least Nintendo is giving mobile the support treatment they deserve by offering the kind of games well fit to their platform. So, basically Mario will keep running endlessly while our job is tapping on the Right or Left direction to make Mario running towards direction that we choose. And we can't make Mario stop running for a while. Well... not really a good idea but decent enough for Nintendo business. Now phone gamers can see how crap Mario games are, without having to buy an overpriced Nintendo console to find out! Why, again, is this iOS exclusive? 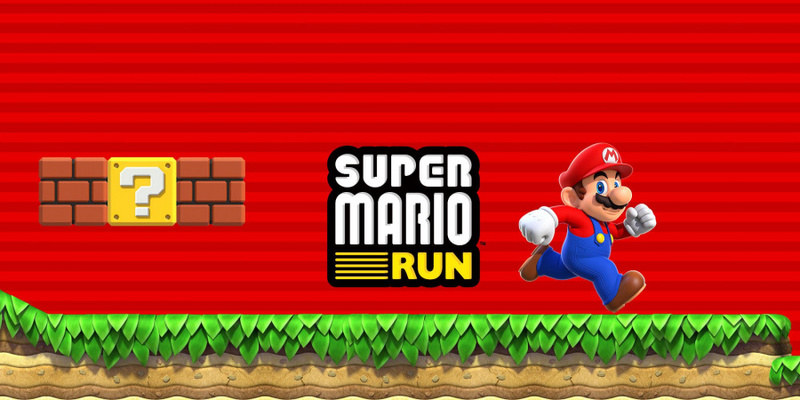 A endless runner...with recycled New super Mario bros graphics. How original!! Some comments from people. I had low expectations but this seems like a very good spin off title. People should not be affraid for nintendo to go mobile because they are just expanding there brand awareness. This will benefit us real nintendo gamers a lot. All the profit they make with mobile games can be invested in the console games development. It doesnt cost much for them to make this game, but it will sell a lot. People complaining that this a bad thing are also the same people who say that Nintendo doesnt need 3rd party games, while everyone knows how that turned out for the wii u.
Iwata first talked about the "Quality of Life" platform few years back and i actually see them doing it in a very subtle way, but if youre just blinded by your own gaming needs then you might not see the 'Matrix' like i and other people do. Just sit back and relax. Nintendo is slowly taking back the lead position in the industry and i think that they are starting to understand that Nintendo is more then just Japan. U have people living in the poorest country, have never played an console or an handheld, Nintendo nor competition but they do know Mario. I was listening to 2pac yesterday after a while and he had Nintendo in lyrics of his songs, I remember BIG also spitting, "super nintendo, sega genesis, when i was that broke man i couldnt picture this" in the song Juicy. U know sinds then till know. Its something that sony and microsoft will never have because they miss the times when nintendo made that impact in the 80s where everthing mostly was consumed differently then. If Super Mario was just recently created then i would never became the pop icon that it is now. If it supports the iPad Pro it's the first Mario game in 2K. And it isn't on a Nintendo console. Can you break the App Store?!? This one will. Yes i expected a mario runner, no i did not expect one so close to console quality. A) The physics looks all wrong. B) Pretty slow and lots of reversing, kinda weird for a run game. C) Why only Apple devices? @BensonUii Yeah, it was either misreported, or I was just lazy when reading about it. Probably the latter. Anyway, I'm a bit more interested in it now that I realize that. @buildz looks like assets from nsmb wii u. @FantasiaWHT yes. The physics will need to be very different to work as a runner. I would argue that altered physics woops be required. Remember the run levels in nes remix 1 and 2? This is a mobile app. It's not supposed to be as good as console games, which is why the price will be much lower than a regular game. But that doesn't mean gamers can't enjoy it. I think it looks fun, and I hope it comes to Android devices soon!